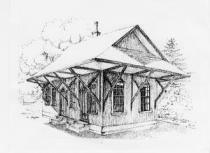 THE WAYLAND DEPOT is a charitable organization established and incorporated in the state of Massachusetts in 1980, and is a member of the Women’s Federated Exchanges. Monday mornings 10-12 are ongoing consignor days, no appointment needed. We have many wonderful handcrafted items and gifts made by local and regional artists. 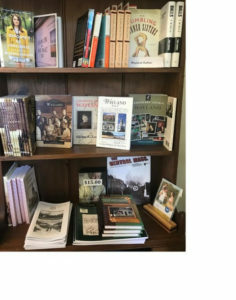 Find books by local authors, crafts by local artisans, baby gifts, hostess gifts, gifts for sports fans, and fabulous jewelry at the small all-volunteer-run gift shop that gives back to the community. 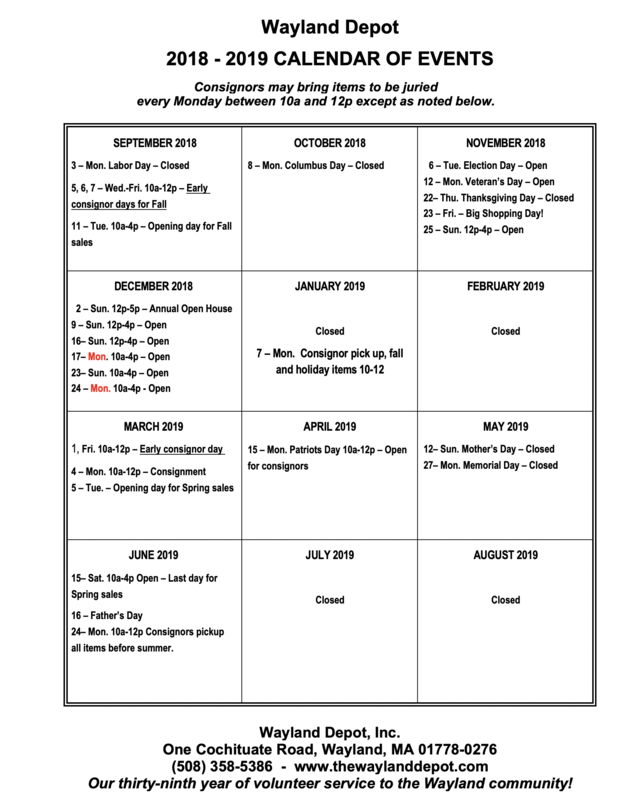 The proceeds benefit other non-profits in Wayland with recent donations going to the Parmenter Food Pantry, Wayland Community Fund, Wayland Neighbor Brigade, Wayland Habitat for Humanity. New items are coming in every week. There are volunteer opportunities at the Depot too, so please consider volunteering your time, as it is a great way to make new friends. 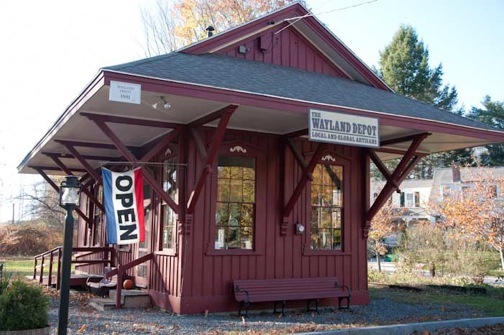 The Wayland Depot is always looking for volunteers to fill two-hour shifts – anyone interested should email info@waylanddepot.com for more information.